Some swim, some cycle and some run. But if you can do all three consecutively, maybe ita��s time you gave triathlons a shot. Though training for one might sound intimidating, Peter Van Geit, founder of the Chennai Trekking Club, suggests, a�?Maintain a strict cross-training fitness regimen for at least six months to work out all the muscles for the different events.a�? And discipline is key, too. For Ajit Thandur, founder of Enduro and organiser of the Tri Thonnur triathlons, ita��s all about planning your energy, nutrition and hydration levels. a�?You have to figure out your needs and pace yourself. Dona��t burn yourself out too early,a�? he says. Meanwhile, avid runner and cyclist Neville Bilimoria says the organisation matters, too, because a�?a good support and aid system, hydration team and clear road routes make all the difference.a�? So keep all that in mind before considering any of these upcoming triathlons. 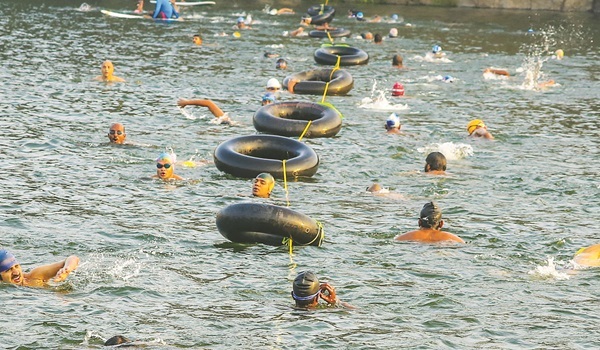 Tri Thonnur 2015: In its fourth edition, this challenge includes the Sprint, Olympic, Half Iron and Relay. On September 6, it will flag off in Thonnur, about 40 km from Mysore. Rs 1,400. Details: enduro.co.in.